Smartphones have come a long way ahead in the areas of advancement and technology. Back to the day from single core processors to dual & multi-core processors, from single SIM to dual SIM and now from single camera to dual cameras or dual lens camera smartphones. 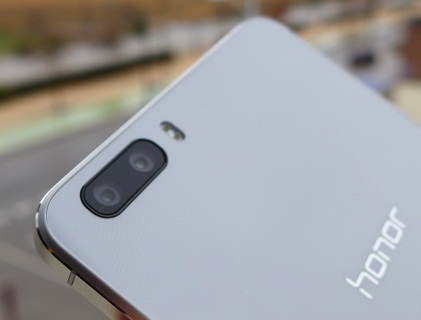 A Smartphone with dual camera has two separate camera lens, each having their own sensors and both these camera are placed side by side on the rear or may be further apart in some phones. Dual camera smartphones are very new in the market and there are only few of them as of now. The idea behind the dual lens camera is to improve the functionality of camera and image quality of the picture taken by a smartphone, So that the quality of pictures look comparable to the ones taken by a DSLR camera. 1 How Dual Camera Works in Smartphone? How Dual Camera Works in Smartphone? 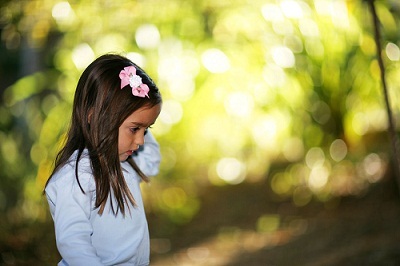 In a dual lens camera setup one camera is used to take the pictures and the other one is to capture the depth of field. You will also get faster Auto-focus (AF) with dual lenses and you can also refocus the picture even after you have captured the shot. With a dual lens camera you can also enable the 3D effects in the pictures making them look more visually appealing and astonishing. Both these Camera lenses may or may not be of same Megapixels but they are definitely of different focal lengths. 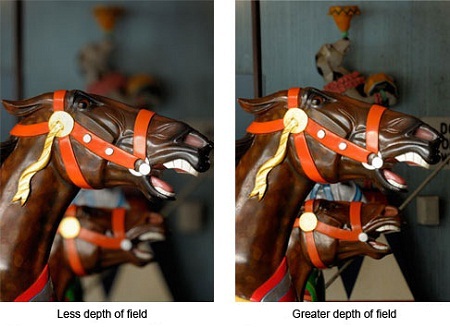 The image on the left side has less depth of field and on the right has greater depth of field. This is because in the right picture you can see the second horse in the background very clearly which looks blurred out in the left picture. Here are some of the advantages of having dual camera setup in a Smartphone. With dual lens setup you will get wider aperture if both cameras are working together. It allows more light to pass through the lenses to the sensor resulting in greater depth of field in the pictures. Here as I have explained above also that the one lens is used to capture the image and the other one is used to control or adjust the depth of field. Dual lens camera with give you faster or almost instant Auto-focus (~ 0.1 seconds) which is not possible in single lens camera smartphone. Smartphones with dual camera can allow you to refocus the picture even after the shot has been taken. The secondary camera helps to perform refocus functionality. You can also create the bokeh effect by using the secondary camera lens by blurring the out of focus parts or background of a picture. Well the smartphone camera software also plays a large part in creating this effect. It has been said that Dual Camera Smartphones takes better quality pictures especially in low light conditions. This is because dual lenses allow more light to pass to the sensor which results in better picture clarity in areas with low light. With dual lens camera you will also get very good HDR images. A dual camera can also boost the pixel size which helps in capturing cleaner images (with lesser or negligible noise) as compared to the ones taken by single lens camera. It has also been seen that dual camera smartphones generally comes with dual LED flash for taking better and clearer pictures in the night. The only disadvantage I have to tell you about the dual lens camera phones or especially the rear dual camera phones is that video recording is not that good in phones having rear dual camera lens system. They might excel at capturing still photos or images but they may lack quality in video recording department. Here is the list of dual camera phones and you can see that all of them are based on android platform. Most of the phones mentioned below are equipped with dual rear camera with only few having dual front camera. The list is sorted alphabetically. Now companies like Samsung, LG, Apple and ASUS are also planning to launch Smartphones with Dual Camera setup. If have anything to ask about dual camera phones or want to suggest any dual rear camera phone or dual front camera mobile phone that we have missed then you can tip us leaving a comment below. I want to buy honor 6 plus is it a nice choice…..and after buying I had heard that we can insure this by some private companies are offering insurance is it beneficial??? don’t have idea about insurance but i don’t see any point in insuring your phone. sir plz can u explain??? Buying honor 6 plus at 26499….is it a smarter choice??? or have to go for other phones??? Sir I really want to buy honor 6 plus…..is it a good phone or not???? Does it has quality?? sir how about its kirin 925 octa core processor does it compete with snapdragon 801…?? It is as good as snapdragon 801 so don’t worry about it. I suggest you to go for Moto G4 Plus. It is a solid phone with good performance and camera. 3GB RAM is enough for any use and Moto G4 Plus camera and processor is better than Lenovo K5 Note. I would say Honor 8. I would say Redmi Note 3 (32GB/3GB RAM). It has all the things you need. Redmi Note 3 can beat it quite easily. Both are almost same things only it is just that some says dual camera and other refers as dual lens camera. In technical way dual lens camera has both cameras integrated in one unit and are close to each other as in iPhone 7 while other dual cameras may be a separate unit and are wide apart but on the same side only. Thank you. But it seems Apple calls it “dual camera”, does that mean that Apple built two units in the device, rather than two lens? They may call it like that but i think it is one camera unit in apple. I m unable to find this from a long month search, it will be gr8 if you really help me, thank you in advance. Currently there is no phone under 20k with your requirements. You should wait for a month or two. Verma sir! I want both GSM and CDMA network supporting phone having screen size not more than 5.2 along with dual sim card. I want to go with your suggestion. How much is your budget for the phone? You can get the whole rooting procedure by entering “how to root leeco le 1s” in google. I have not tried that too. And what issues are you facing with camera performance? The day light shots are good but the night shots are not that great which is a problem with all phones. Sir! Does huweai honor 8 suppprt CDMA network too? No ir supports only GSM networks. I did not find any phone with GSM+CDMA with dual camera. There is rumor that Mi 5s is going released with dual camera? Is this true? Yes dual 13MP cameras on the rear. Would you mind if I ask you to tell me its releasing date also? I don’t have info on its release date for India. Ok Then, which is the best phone GSM+CDMA having good camera! Does LG Nexus 5X and LG G5 support CDMA+GSM with dual sim cards? LG Nexus 5X is a single sim phone and i think G5 only supports GSM in India. which has best camera xiaomi mi5 or LG G5? Does LG G5 have ear phones like normal phone? yes it comes with 3.5mm jack. which has best camera among huweai honor8, LG G5, Google pixel and Pixel XL? Does Samsung s6 edge support CDMA network? And does it come in dual sim card? If not I have heard that magicsim something like that helps it to use CDM network with dual sim in phones. is it true? Samsung Galaxy S6 edge does not support CDMA network and is a single SIM phone only (nano SIM). And i cannot comment on the use of magicsim adapters because these are just hacks and they may or may not work. 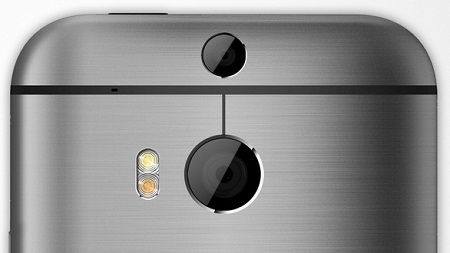 Which has best camera among s6 edge, mi5, honor 8? which has good camera between Mi5 vibrant and Mi5 pro? Is there really any version known as Mi5 vibrant ? Any new about leeco cool1, when it comes to india..?anyway to buy it now? I want buy dual camera phone under 20k. Which is better phone in lenovo phab 2 plus and cool pad 1. Please suggest other butter options. Definitely LeEco Cool1 dual because of better processor and relatively smaller screen than phab. Do you need dual rear camera? Sir,coolpad cool1 ka barime thora bataenge.iska performance,camera kia better hoga honor,lenovo,samsung ph. Sa.compare to price. to which do you want to compare it. please specify the models. honor 6x and nubia z11 camera is good. i have confusion between cool 1 and honor 6x. Coolpad Cool1 is better specifications and feature wise compared to honor 6x. does lenovo k6 power has dual lens camera? No it has single 13MP camera. Honor 6x vs Redmi note 4 vs Samsung Galaxy on nxt .which one will be better for camera performance ?. The best you can get is Honor 6X. Almost all phones have average performance in low light. Also there are no good options under 20k in dual camera phone. If you want a very good single camera phone with good overall performance then go with Moto G4 Plus. i want to buy a phone under 20k. which have great camera. so i have following option which i should go for? Moto G5 Plus is certainly more powerful than Nokia 6 and my choice would be Moto G5 Plus only for the price. Which one would be good in terms of processor, camera and performance -> Samsung J7 Prime or Samsung J7 Max. If you have any other suggestion, please let m know under 18,000. Whats your views about moto g5s plus??? Good phone and value for money.